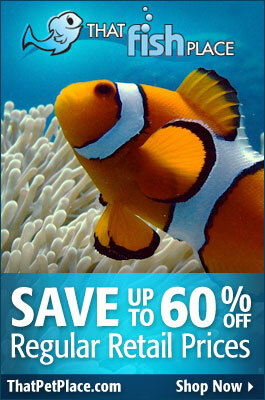 Home | Aquarium Equipment | Aquarium Maintenance | Bristleworms. The Good, the Bad, the ITCHY!! Bristleworms. The Good, the Bad, the ITCHY!! Hi, Craig here with some cool stuff about Bristleworms. It’s late in the evening, you have gotten home after the lights on your reef tank have gone out. Walking by the tank you look down and notice a little fuzzy worm poking out of the rocks. Startled, you press your face close to the tank and …ZIP! !… the little worm is gone. Thinking to yourself that you have a cool new critter in your tank, you forget all about the worm. Days go by… weeks go by… another late night at work and you again arrive at home to a darkened tank. Looking into the aquarium again, you see dozens of little worms now! Crawling everywhere! Now you are a bit concerned. What in the world are these things?! And why are there so many?! And how does one get rid of them?! What you have discovered are members of a large class of worms called Polychaete worms. There are probably more polychaete worms on this planet than virtually any other creature. Feather duster worms and Christmas tree worms as both included in the class Polychaeta. Some Polychaete worms live over hydrothermal vents in the deepest reaches of our oceans and are amongst the most heat tolerant animals on the planet. Another species of Polychaete worm lives over cold seeps in the ocean and may be the most long lived animal on Earth, reaching perhaps 250 years of age. Most are marine worms, but some species have even adapted to living in humid terrestrial environs. The little boogers you have just discovered in your tank are very common, most likely from the genus Hermodice or Eurythoe, and often carry the common names of “Bristle worm” and “Fire worm.” These names are derived from the rows of needle-like bristles that line the sides of their bodies. These bristles are often venomous and can produce localized swelling and, in some cases, extreme burning sensations. There is some debate as to the danger of these creatures in the home reef aquaria. While there is no doubt that many species of bristle worms will predate upon soft corals, gorgonians, and tridacnid clams, some of the smaller members of the genus Eurythoe can certainly be counted as some of the best detritivores in the business. So how do you decide if you have one of the big nasties or one of the little janitorial worms? That will take a little research. I have seen what may literally be dozens of different species. Each one a little different than the other. From the foot long Hermodice carunculata that is white to grey in colour with white spines, to the small red-headed Eurythoe spp. that are rarely more than 7cm in length. If you have tiny worms that are white to black with red heads, chances are they are actually doing you a lot of good. However, even in large numbers, the little guys could become a nuisance. If, on the other hand, you have one of the large white or pink ones… well… those eat things. Trapping and population control through predation are almost always good ideas. Which method you choose will depend greatly on the size and number of the worms. If you have smaller species of Polychaete worms, it is very likely that you will be able to control their population size by using various natural predators. Of the different creatures used to control bristle worms, there are a handful that are stand outs. At the top of the list are the Pseudocheilinus wrasses. Six line wrasses (Pseudocheilinus hexataenia,) the disappearing wrasse (Pseudocheilinus evanidus,) the Twelve line wrasse (Pseudocheilinus tetrataenia,) and Mystery wrasses (Pseudocheilinus ocellatus) are all well known for their appetites towards bristle worms and flatworms. Generally considered to be well-mannered in community reef tanks, these wrasses make a very beautiful and curious addition to any tank. Another genus of fish that is known for it’s ability to eat small bristle worms are the dottybacks. 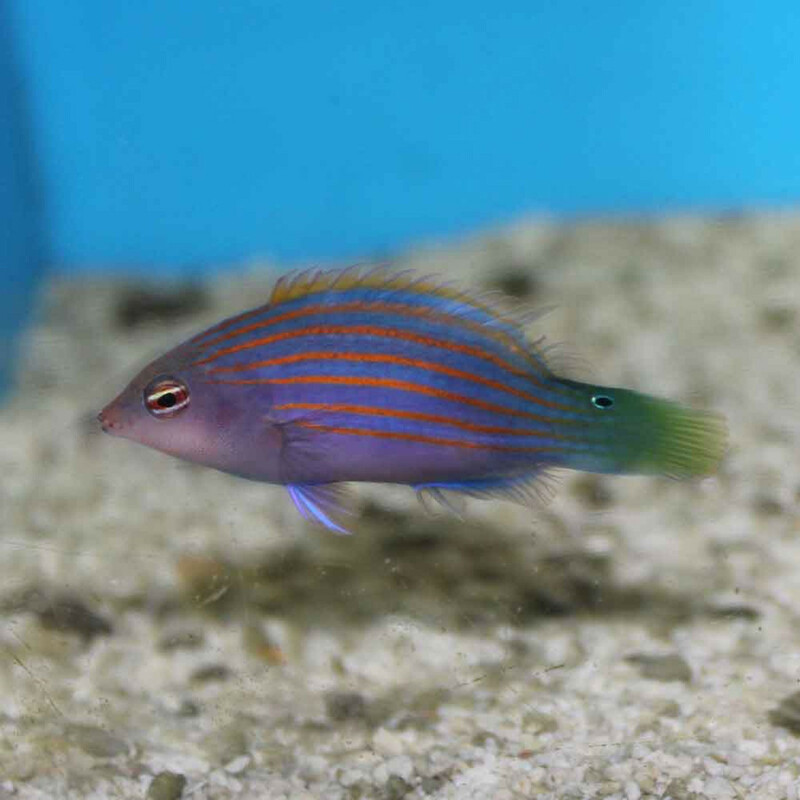 There are a handful of Pseudochromis that have shown consider skill and appetite when it comes to eating bristle worms. The most notable are Pseudochromis fridmani, Pseudochromis sankeyi, and Pseudochromis springeri. Each of these species is a very inquisitive and entertaining addition to a reef tank. While most Pseudochromis show a very high level of aggression to tank mates, these three species have shown to be quite tolerant of neighbours. Any of these fish would make a very beautiful and prized inhabitant to your home aquaria. Another excellent, if somewhat voracious, predator of bristle worms is the arrow crab. Members of the genus Stenorhynchus are very well known to eat bristle worms. Using their very long claws to extract worms from rockwork, these unusual crabs eat the worms as though they were eating a fuzzy piece of spaghetti. The only negative to these crabs… if there aren’t any worms around… they will catch whatever they can to keep themselves fed. Other crabs, shrimp, and small fish are all on the menu if the arrow crab gets hungry enough. Continuing with the invertebrate solution for bristle worms, there is a particular genus of shrimp that can be somewhat helpful in controlling populations of the smaller worms. 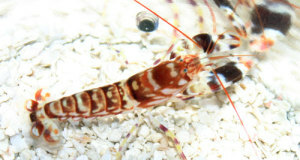 The coral shrimp of the genus Stenopus have been noted to eat bristle worms in modest numbers. These shrimp are very attractive and can be kept in mated pairs. This ability to keep them in pairs makes the coral shrimp a really wonderful member of your aquarium. In regards to keeping the arrow crab or the coral shrimp, it must be noted that some individuals will preferentially take to eating prepared fish food rather than putting the effort into hunting worms. But, really, who can blame them when they know that there is a free meal coming to them? No matter what your choice in biological bristle worm control, you will no doubt be pleased with the addition of a beautiful and interesting new resident to your reef. Having just spent an entire paragraph on predatory control of bristle worm populations, it should be stated that predation upon large specimens is virtually impossible, so trapping them would be the most efficient way of removing them from your aquarium. There are several commercially available traps, but almost all of them are for smaller worms. To make a trap that is capable of catching a larger worm take a little bit of imagination as well as a little McGuyver. Using 1/2″ PVC, cut an 8 inch length. Then, cut two small pieces of nylon window screening and rubberband it on each end. On one end, cut a small slit to allow for entry by the worms. Before you submerge the tube into the water, you will want to place a piece of shrimp all the way inside the tube as far as you can get it. Leave the tube in overnight. Check the tube first thing in the morning and see what you’ve got! It may take a handful of tries, but this method will often bring results. You may be tempted to try to remove the worm with a set of tweezers or tongs. Take care in doing this… for if the worms breaks into pieces, each of those pieces can form a fully functional worm! With patience, either technique mentioned in the above paragraphs should yield results in controlling or eliminating your bristle worm population. Remember that small numbers of the small Eurythoe spp. actually considered somewhat beneficial, but if you keep soft coral and tridacnid clams, you may be better off having some sort of control in the tank. Another helpful tip in controlling populations, keep your tank on a regular, weekly water change schedule. Weekly 15% water changes will help keep organics down to a minimum, thus keeping the food source for bristle worms down to a minimum. So, if you ever encounter any of these little beasties and want to be rid of them, try a trap or a natural predator. If, on the other hand, you decide to keep your new critters, you will have some very curious and odd pets to observe! The shy nature of these worms can even become somewhat endearing if you give them the chance! I had a resent infestation Bristleworms at the time I didn’t know what to call them other than worms. They didn’t seem to do much damage but what a terrible eye sore. Not a nice addition to have added to your tank and I’m very glad to find out how to remove them. I was under the impression that bristle worms were what ate all the “garbage” out of the live rock and they didn’t effect coral at all. Thanks for the heads up, I’m going to do more research on this subject before I erradicate them from my reef. Some bristleworms are indeed beneficial, while some do predate on coral. It all depends on which species you have! So, yes, a little research and making a positive photo ID can tell you what you have and what the worm may eat. 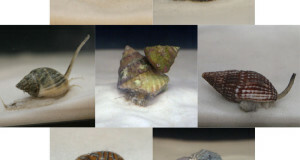 Aquarium Clean-Up Crew: How Many Snails Do You Need?